The best player in baseball in 1935 was Hank Greenberg. He led the Detroit Tigers to a championship over the surprising, but consistent, Chicago Cubs. The top two batting averages in 1935 were held by guys you’ve probably never heard of: Buddy Myer and Joe Vosmik. They also led the league in hits. But Vosmik didn’t stop there. He led the American League in doubles and triples, too. Beyond that, Hank Greenberg stole the show. He had the most HRs in the league with 36, he scored 121 runs and he had 170 RBI. The next highest guy, Lou Gehrig, had 119 RBI. But Detroit didn’t just win with hitting. Tommy Bridges and Schoolboy Rowe led the league in strikeouts and shoutouts. Tigers starter Eldon Auker led the AL in winning percentage. Did you know Joe Vosmik was that good? Oh and you noticed something similar between the championship team from 1930 and 1935 didn’t you? Mickey Cochrane. 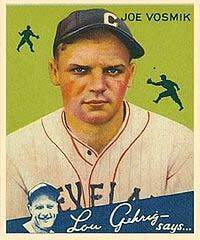 While St. Louis had the best hitter and the best pitcher in the National League, they didn’t have the complete team that the Chicago Cubs had in 1930. Cardinals’ superstar Joe “Ducky” Medwick had a banner year, batting .353, with 224 hits, 46 doubles, 13 triples, 126 RBI, and 132 runs scored. On the mound, Cardinals ace Dizzy Dean led the NL in wins (28) and strikeouts (182). 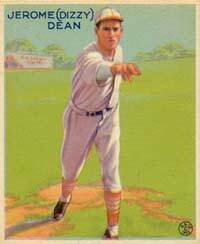 Dean also tossed a disgusting 29 complete games (and 324 innings) in 1935. But it didn’t matter. The Cubs, led by Hall of Fame catcher Gabby Hartnett were too much to handle at the end of the season. With Billy Herman hitting the ball off the Wrigley Field wall every third at-bat and Augie Galan stealing bases and scoring runs, the Cubs finally made their way back to respectability.